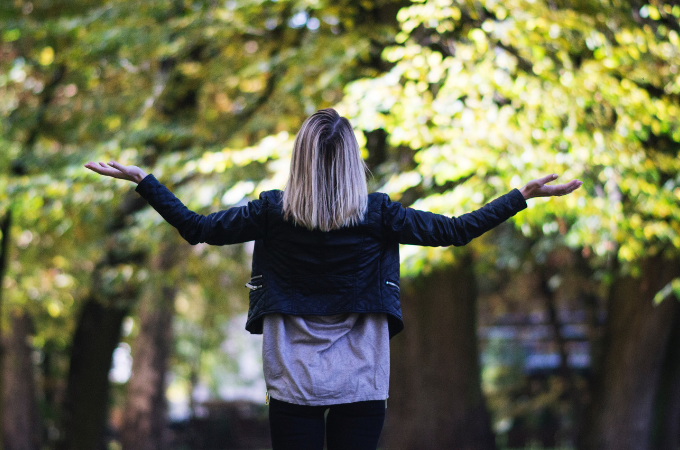 We have all heard of the term ‘personal value proposition’ – essentially a few sentences used to describe yourself, your beliefs and values when interviewing for a new job. But have you thought about WHY you do what you do? Anyone who is familiar with the work of Simon Sinek and his ‘Golden Circle’ will understand why the WHY is important. Before I explain and give you my tips to work out yours, let’s go back to 1989 when I landed my first full-time job. Each pay was handed to me in a small yellow envelope. I was paid for the job I was employed to do. No more, no less. If I did it well, I received other types of external validation like praise and, occasionally, the encouragement to apply for more responsible roles. This ‘modus operandi’ was the same as I continued on my career path including working for a large bureaucracy. As I furthered my career within the organisation and applying for any senior role, the application process included addressing a strict selection criterion to provide evidence I would be competent to do the role. For 25 years my job description was very specific to the role I was doing and what I didn’t realise at the time was how my identity was closely intertwined with it. Anytime I was asked ‘What do you do?’ I didn’t have to think twice. Fast forward 2014 my husband’s career took precedent and I believed the best way to support him was to settle our family into a new city and lifestyle. For that to happen I resigned. Taking a leap of faith, I started my own business. One because I could use the flexibility of being my own ‘boss’ to help settle the family into our new life, and two, I wanted to do something that was more aligned with my personal purpose. It was a big deal and felt unnerving entering unknown territory. As time went on and my coaching business grew, the demands on my time came into conflict. I was torn between running a business, a household and various volunteer commitments. I felt an identity crisis coming on! As I tried some introspective analysis, it dawned on me when I started my business, there had not been any ‘essential’ or ‘desirable’ criteria written to set me on the right path. I had never consciously taken the time to write my own ‘role statement’. In 2018 I decided to change that. It really changed my thinking about WHY I do what I do. health and wellbeing (catching up with friends, an occasional massage, meditation, physical activity). Step 2: draw two columns on a page. List all your categories on the left-hand side of the page and on the right-hand side think about WHY you do each of these things, then write it down. The ‘WHY’ is really important. What is your purpose for doing this? What is your cause? What beliefs drive you? What is it about this that gets you out of bed in the morning? Rate each of these on a scale of 1 – 5 (5 being the most important to you). When you have completed the activity, sit down with your partner, mentor or support network to discuss your new ‘role statement’. This is the most important part of the process because it starts the conversation about so many things. 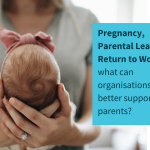 Families should make decisions together about how to utilise the available resources, so it’s important to ensure everyone in your household is involved in discussing the best way to distribute the workload. When you make a career change from full-time to part-time employment, or leave paid employment to raise a family, or leave paid employment to run your own business, or any combination of these (!) there will be a measurable impact on your identity. My personal experience is that you can have trouble with this shift if you’re not clear about your “why”. I would never have thought to write a blog post about this until I shared this story with a few girlfriends and one of them asked me to email them a copy of my role statement. 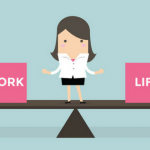 Like me, she had just resigned from a full-time senior role and was about to make the exciting and scary change to running her own business – again, driven by the pursuit of better balance. Even if one more person finds it useful to think about their new role in this way and find the “why” of what they do, this will have been worthwhile. If you have any trouble, a coaching session may be very helpful to explore your vision/values and uncover your “why”. 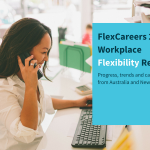 You can reach out to FlexCoach Julie here and look for flexible jobs with flexible Partner Employers here.